… For those of you who don’t, know I suffer from Fibromyalgia (constant chronic pain), Chronic Fatigue, Migraines and severe IBS. I’ve lived with symptoms since the age of 16 but it all came crashing down after a car accident 8 years ago. My health and energy levels are a constant struggle and sometimes life isn’t as blissful as I’d like. It was around 3 years ago now I was in the throes of my planning for the opening of Bliss sanctuary For Women after searching and finding nothing out there for me. I didn’t want an activity based retreat, I wanted deep rest and relaxation with no competition for poolside sun lounges, no kids, no big groups and no couples all over each other lol. When I couldn’t find it I went on a holiday that wasn’t quite what I was after and my passion ignited to start something for worn out women to find their bliss. Only months after my ideas started taking place, reality was born. I moved to Bali and started Bliss. After 2 years in beautiful Bali I decided to look elsewhere in the world to start another Bliss. So off I went to Spain and Greece. All the traveling and planning left me so exhausted I needed to come home to Australia. So those plans are on hold for a while. Back in Bali, I have rented my personal villa out and trained up even more amazing bliss staff having grown from 4 staff + me to a full time hostess, a part time hostess + marketing guru, an amazing villa manager, 7 full time staff, a trainee and 4 freelancers in Bali + an accounts person, Web marketing and website developer in Oz! Now my job is more mentoring, managing, marketing, bookings and planning. I really miss seeing all of the guests and having that interaction and connecting with guests and staff daily but I just physically struggle. I always had the business model as one where I start a sanctuary, train the staff and move on so it’s been a great opportunity to learn how to run a business from a distance, choose great staff, manage those staff and mentor them. 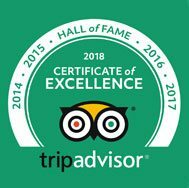 I’m proud to say this has been a very successful approach for the business having fresh, excited, amazing hostesses looking after the guests while at the same time giving me the freedom to look after the ‘business’ side of things and give some focus to my health. And my health needs all the help it can get. With all the research, supplements, new findings, new treatments, new diets, new Doctors, specialists, naturopaths, healthy living etc I am just not getting better, or so it seems. I have to cancel so many engagements, have very little social life, can only get a few things done (if any) in a day, and have no real balance. Life has become … work, focus on health, try to sleep, manage the pain. So this quote ‘ life isn’t about waiting for the storm to pass … it’s learning to dance in the rain’ … is so timely for me and serves as a reminder that is true to my heart. 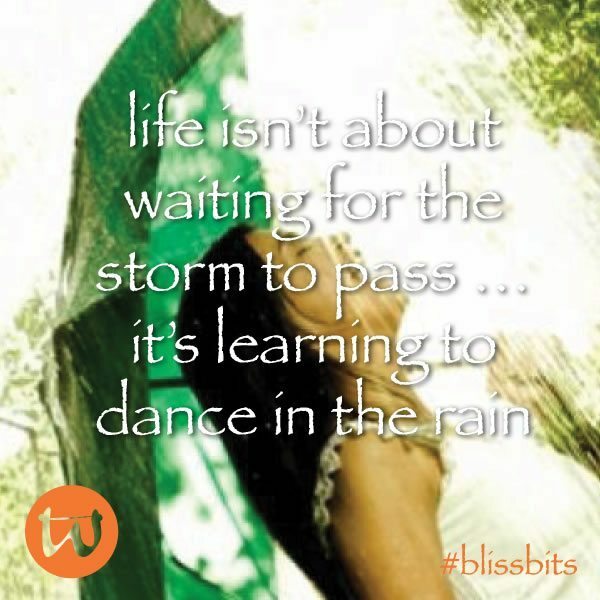 I hope it helps you or someone you love gain perspective during the storm and you are always able to find your bliss aka ‘dancing in the rain’.